Our On-Site Golf Coordinator at The Village Inn Event Center can completely customize your Golf Outing with over 30 Golf Courses in the Heart of North Carolina. You can choose the courses you want to play and the day and time you want to play them! Let us take care of the rest! We are the #1 Hotel in Winston Salem specializing in Golf Packages and we welcome you to relax with a drink on us in our on-site Crosby Pub named in celebration of the Crosby Golf Tournament & Clambake and for the namesake of Bing Crosby. 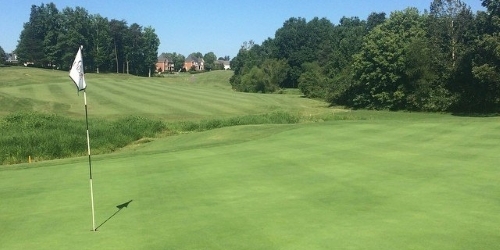 Oak Valley Golf Club reserves the right to change price and offer at anytime. Prices and offer are subject to change without notice. NCGolf.com is not responsible for errors posted in this golf package.